Polls | It's "All in WDW"
The Roller Coaster Starring Aerosmith Rocks! If that doesn’t constitute a landslide, then I don’t know what one looks like! The results? You have spoken! Hollywood’s iconic Rock ‘n’ Roller Coaster Starring Aerosmith will continue to live on into Studios history! First, I’ll tell you, there were a lot of “Just leave it alone!” Many of you left it that plain and simple. Having said that, some of you spoke with a bit more emotion. “Leave it be! That’s one of my favorite rides in Florida!” Or, “Take anything else in the park and do whatever you want with it, but I will fight someone over Rock ‘n’ Roller Coaster.” Now, that’s some love! Finally, “NEVER! Don’t touch it. I’ll handcuff myself to it in protest! Who’s with me?” Like I said, a lot of emotion. Regardless of what Disney does or doesn’t do, however, your message to them is crystal clear, my friends. Modestly update this exciting attraction if you want, but never take it away! Good thing, too. It’s one of my personal favorites, as well. I don’t ever want to have to enter it into All in WDW’s Hall of Fame of retired attractions! The Results are Final! 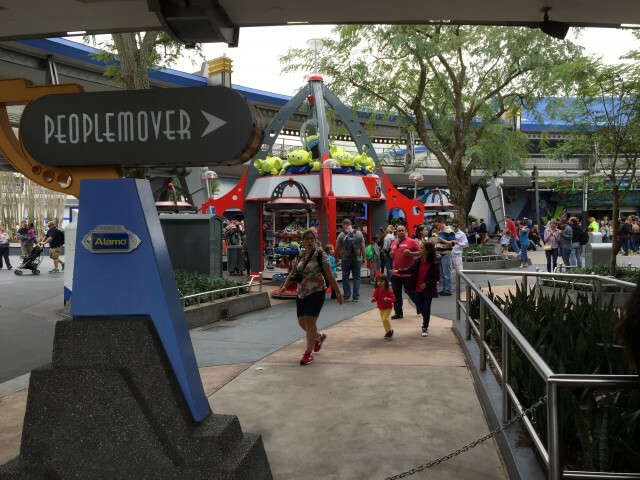 The Fate of the Tomorrowland Transit Authority PeopleMover Has Been Decided! I have to tell you, I’ve never seen such a lopsided poll. Over 98% of you want the TTA to survive long into the future. 68% of you support “Leave it Alone”. Meaning, most of you feel that not even the smallest refurb is needed! “TTA is one of the most underrated Disney attractions. It gives you time to relax and provides you with a chance to see around Tomorrowland as well as glimpse views of the Castle … with your feet up. Take it out at your peril Disney”!